The international textile and fibre art symposium is as old as Daugavpils Mark Rothko Art Centre. For the fifth consecutive time, it brings together artists who work in textile and fibre and promotes contemporary textile art in a region where traditional forms of textile are much more widespread, not least because of their presence in textile education programmes in Daugavpils and elsewhere in Latvia. Traditionally, the textile and fibre art symposium is organised in autumn when nature has shed its splendid cloak of leaves and flowers. One would think that artists should lack adequate sources of inspiration for their artwork at this bare time of year. However, walks through Daugavpils and more extended trips across Latgale give artists plenty of inspiration in local fauna and flora to create magnificent, also bright and vivid textile and fibre art arrangements. There, textile and fibre art live a full and intense life and, depending on the material, move towards design, sculpture, installation etc., or, quite the contrary, return to authenticity and tradition. This year, November season at the Rothko Centre can boast a particularly prominent presence of textile art. Alongside the group exhibition of the 10 participants of the international textile and fibre art symposium, it features the European Tapestry Forum exhibition “Artapestry 5” with textile works by 16 more international artists. This creates a broad artistic dialogue where multiple voices raise current and pertinent issues in the textile and fibre art of today. 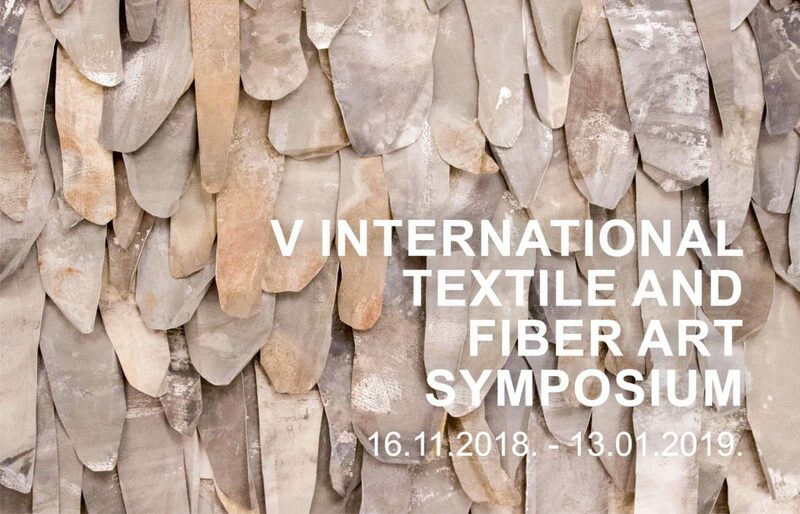 Participants of the 5th International Textile Art Symposium: Eiko Hattori (Japan), Yen-Yu Tseng (Taiwan), Päivi Vaarula (Iceland), Moumita Das (India), Magdalena Kleszyńska (Poland), Sauro Manetti (Italy), Alexander Hernandez (the USA/Mexico), Ju Won Lim (South Korea), Kaylie Kaitschuck (the USA), Maria Barthélémy (France), René Sultra (France), Olga Roehl (Latvia).